Stories and photos from real Kurds and travelers to Kurdistan. 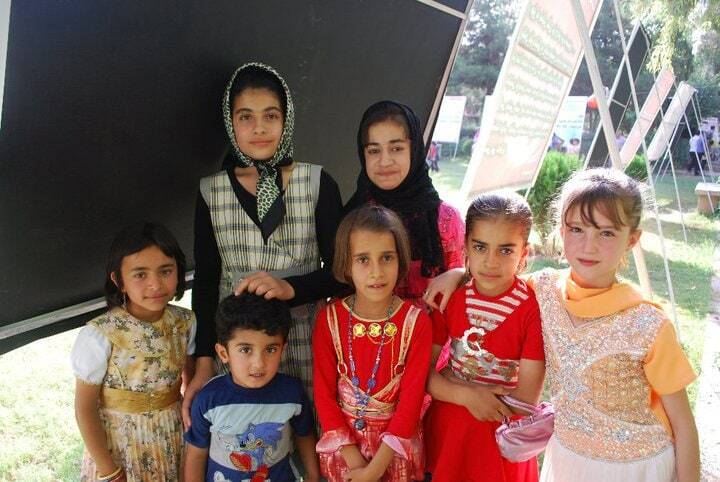 Explore profiles of Kurdish people and contribute your own story! This is a photo of Mansour – probably from 1980 or 1982. I have owned this shop for my entire life. Being Kurdish has always been a source of pride for me. I wanted to capture myself in the place that I was trying to understand through my camera. I feel kurdish and only kurdish in that sense. I was born in Iran, which makes me officially an Iranian Kurd. However, growing up in Denmark makes me lose my “Iranian”hood. I feel Kurdish and only Kurdish in that sense. I have no problem with identity, I am Kurdish, Danish, European, Middle Eastern, and I am not bothered so much by not having a country, I just don’t want to be Iranian or Turkish or Arab because I am none of that. This is a photo of Mansour – probably from 1980 or 1982. He was killed a year later in a fire fight with the Islamic regime’s forces in Iran. When he was killed defending a village, his wife (next to him) was one month pregnant with their son Arman. Arman is now an adult, having successfully left the war zone and is living in Europe. Being Kurdish has always been a source of pride for me. Our culture and our history is so rich and loving. 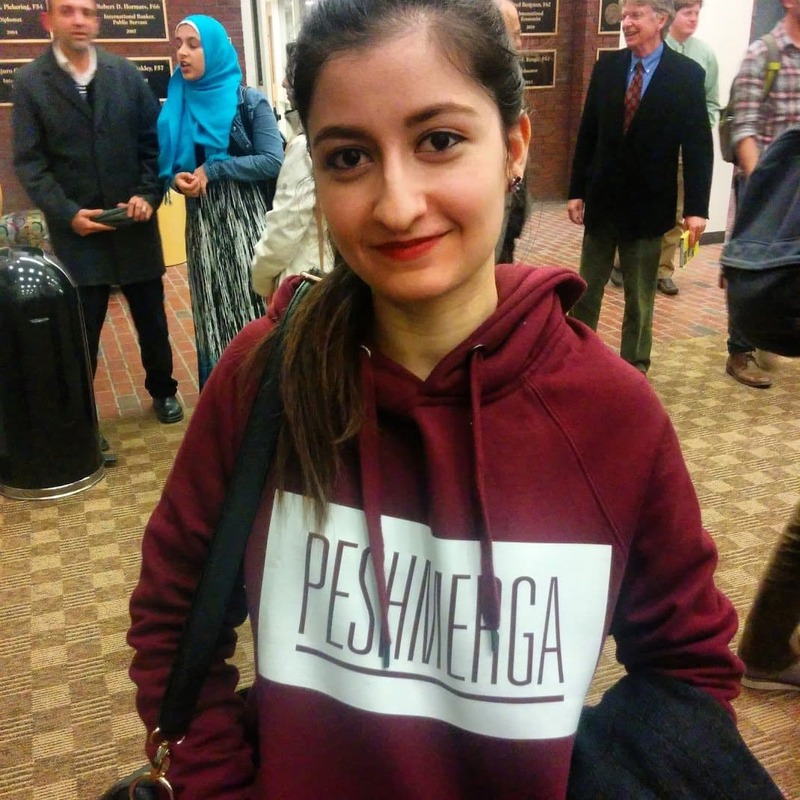 For most of my life people didn’t really know anything at all about the Kurds, but now when I wear my Peshmerga sweatshirt some people know about us already. Most of them are excited to talk about what’s going on in the Middle East. I wear my sweatshirt a lot because I like these conversations. I have owned this shop for my entire life. You can find anything you need in here, anything. My wife and daughter help keep everything running and keep the hooligans out. Without this store we would have nothing. I am the woman in the scarf in this photo. Traveling through Kurdistan and taking so many photographs I wanted to capture myself in the place that I was trying to understand through my camera. These men spent most of an afternoon talking with me about their lives, all of them have children, only one has a son and all of them are afraid for their childrens’ safety. These children are our future. I am a school teacher and this photo was taken during a class field trip where we were learning about the value of art in our lives. The kids are standing behind an art piece, one of many, circled in a field for children and parents to look at and talk about what it means to be Kurdish. Tell us your story! Fill out the form below to join The Kurdish Project.